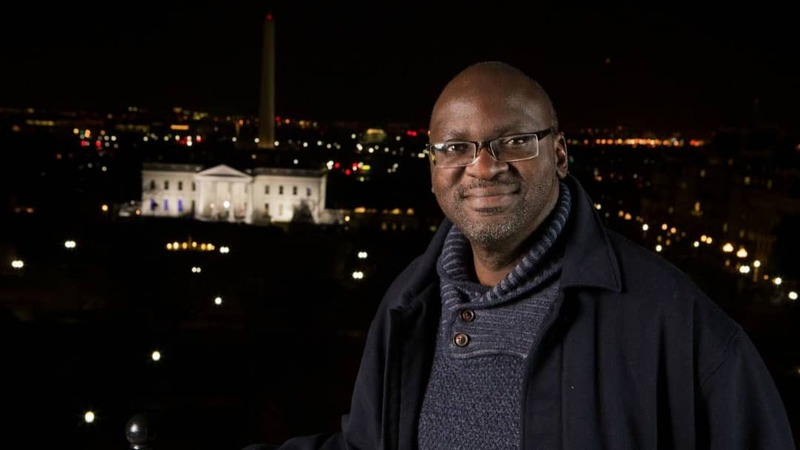 Ever since the dark days of military dictatorship in Nigeria, Emmanuel Ogebe, a human rights lawyer and activist has been at the fore front of activism in Nigeria. In 2014, he was instrumental to assisting some Chibok girls who had escaped the April 14 2014 abduction in Chibok, Borno State gain access to new life and opportunity to study in the United States of America. Meanwhile, Ogebe has had a bitter experience despite his kind intervention. In this interview, the lawyer complained alleged Federal Government’s efforts to frustrate his kind gesture for the girls who may not have seen a better life in the North East. He also alleged the sharp practice of the President of one of the American schools involved in training five of the ten girls in his care. DAYO EMMANUEL was at the press conference and here reports. Excerpts. You were around during the military days and you suffered persecution from the ruling junta who once ruled with iron fists. Meanwhile the Nigerian democracy has also been featuring some individuals who participated in the military dictatorship. Can you say the democracy is featuring some ‘born again’ democrats who were once in uniform? I am a human rights lawyer and I have been in human rights activism in Nigeria since the Babangida era. At least I have over 25 years of fighting for human rights issues in Nigeria. On the recent democracy day I want to note that people like General Buhari were actually not champion of democracy. He overthrew a democratically elected government. His last service was when he was serving what is described to be the worst military administration in Nigerian history so we need to put this at the back of our mind when we are talking about democracy. You were involved in helping ten Chibok girls who escaped from Boko Haram to gain education and better life in the USA. What is your experience? I want to talk a little about some of the efforts we undertake in terrorism and in particular the Chibok girls which is a source of controversy. Let me say that I have assisted a lot of these girls abducted but a lot of people are attached to Chibok girls and that is why we have had a lot or controversies. In 2015 I approached the then administration of President Goodluck Jonathan applying to send 50 of the escaped Chibok girls to school in the US. The government was not interested at the time but through private efforts we were able to send just about 10 of them to the United States. Let me point out here that the reason it became necessary to send a few of those girls to the USA was because nothing was being done for them in Nigeria. After I first met them, we found out that they returned to the North East, to Chibok and no arrangement was made as far as their schooling was concerned. Worst still I think during one of my visits, I came with a Congressional delegation from the US embassy and those people insisted that we must meet in the US embassy and I told them it’s not a good arrangement for those girls to go to the US embassy and return to Nigeria because Book Haram can still target them because they have gone to the us embassy, which is seen as office of the great satan. I spoke to them and they insisted they meet them at US embassy Abuja. As we were coming out I noticed one of the guards at the embassy brought out his phone and snapped them, I panicked and asked him why he was snapping them and exposing them to further jeopardy. This was the circumstance that led to the plight of these girls and I said it’s not safe for them here let’s look for schools and take them out of here. So that was the arrangement. I took a total of ten of them. How were you able to take them out if Nigeria? We obtained passports and student visas for them which is very important. Then we obtained admissions and scholarships for them. We got them admission and the school has all year boarding facilities for the first five girls, another school said they have boarding facilities but during the holidays they don’t have. So they need to look for homes for them outside school. For the previous ones I had paid for their flight and this second school said they were paying for the flight of the second five. So when these people brought these offers we said that was fine since the first five already had an offer we said let the second five too get the opportunity. So we started looking for home for them to stay during holiday. When they landed in USA there was hope, the second school for the second batch of five girls was in Oregon. It was not up to two months or so after their arrival that the President of that school in Oregon started saying they don’t have scholarships for the girls again that I should go and look for money. We discovered it’s a fraud or that he was trying to perpetrate a scam on us after saying we should go and start looking for money. Of course I was disturbed. Before you can get visa you have to present proof of admission and the admission he gave us stated clearly that he has a scholarship fund for them. On getting there he started saying stories. The height of it was that when the students were there, the insurgency was still on and they were disturbed so we said at Easter they should come home at least to see their people and get encouraged. When they were in my house this American Principal called Dough Wead sent three different American media to my house to come and interview me. I asked what are all these? He said since he doesn’t have money he has to put these girls in the media do draw attention to the school, do a book and documentary about them. I said they are on holiday. He said since I didn’t allow them to be interviewed the girls should not come back to school, they should remain in my house and let me home-school them. That was when I said enough of this man who wants to terrorize us. When did this happen and what happened afterwards? This was early 2015 early. They arrived in 2014. I now said I will not allow this man to do this to us. This is the first time I’m opening up on this issue. Some of them arrived in December 2014 and I remember he didn’t have a boarding facility in his school during the holiday and there was this American NGO that said they would find a host family for them. I said I won’t allow this man to take advantage of us in this manner. The second issue there was one particular American socialite I met. She was very interested in the girls. She said she wanted to write a book on the girls and I said hold on. I said calm down. So in my interaction with the woman I knew she’s wealthy, she’s white, she has connections and she believes she can do and undo. It turned out that this president of the school found that the woman wanted to host them so she wanted to get money from her. She now said this woman wants to host the girls but not willing to give money to the school that he is not comfortable with her. I told him I’m also not comfortable with the woman but please don’t ask for money from her. The NGO was helping us finding family for them. These girls arrived in the arranged home in December and within weeks, I got a distress call from them that they are suffering in this woman’s house. I said what is going on. The woman doesn’t cook, it was her husband that used to cook and you know the white people’s life, they didn’t allow the girls to cook. One day he boiled eggs, they didn’t allow the egg to cook well, it was parboiled, they gave the girls and they couldn’t eat it. The woman was angry that they were rude, these girls were suffering in silence. The NGO contacted me that they were rude, the woman said they insulted her pastor, I said I can’t believe a Christian girl from northern Nigeria can abuse a pastor. They respect pastors so from my enquiry I found that the pastor offered them a handshake and the culture of northern Nigeria doesn’t allow a girl to have a handshake with an elderly man and a pastor. So they termed it to being rude. Then this white woman, the socialite now reported that one of the girls was wearing a tight shirt and wanted to seduce her husband. I know that these are northern Nigerian girls, they used to wear hijab even as Christian girls, I know that was not true. My white colleagues started complaining that if they are behaving like this we have to send them back to Nigeria I was worried that none of these white people would even think of investigating and find out the truth. Everybody has taken the side of the white woman, who is going to speak for the girls? Did you try to reach out to the Nigerian community around? I reached out to some of my friends in the diaspora. We now found a Nigerian chef in that same state and we approached him, pleaded with him to allow us to bring these girls to his home for the holiday and he agreed. We mobilized and moved the girls. For the first time they eat jollof rice, okora soup, etc. I phoned them they were very happy. My white colleague wrote an email and insulted me, I replied her if she knows the implication and the international embarrassment of a Chibok girl who came to America and got maltreated by an American. I asked if she knows the implication if it gets to the international media. Boko Haram would say this is the western evil they were fighting and see what has happened. I found out that the whites would always take side with themselves and if I don’t speak up for these girls it would be bad. Then I determined to engage them. At that time they were on holiday so within that time we moved them to the Nigerian chief’s house still during the holidays. This was the first difficulty we had. These were some of the things I was facing and I bore it quietly and unknown to me this man, the school president was a desperado. So by the May summer holiday he was now looking for his own opportunity to see what he could do. So he now contacted us that there was a friend of his what wanted to donate money to his school if the girls spend the holidays in his house. Is this now trafficking or what? How can you say the condition was if the girls spend holiday in your house? So we wrote him and said that was not our plan for them. Our plan was that some Nigerian women group were coming to do summer in America and we planned that let them come and mingle with their people from home and let them speak their language and mingle with people from home, that was the arrangement. This man insisted that we must do this or that. As God would have it I flew one of the parents to the US and luckily he was a teacher of some of the girls both missing and escaped, so he was the person we picked. He saw them during the summer. Do you know that girls in the first school scored high while all the girls in the Oregon school scored low? That was the first scientific test we did for them. The girls in the first school would email me their report card, the Oregon school one day never showed me a report card. How much of the background of the man did you know before the girls were taken to his school? It was after that we started looking through the background of the man himself and found out he didn’t go to school and he was parading himself as a doctor may be through private studies. He had been an assistant to President Bush and he had recorded his conversation with Bush and made it in a book and attempted to sell it in the effort to make money. So when we saw all of these about him, we shouted that we have entered American wonder! We now knew the kind of person we are dealing with. The visiting parent’s daughter was one of the girls affected by the low score so we decided to look for another school. We now found another school but discovered the school doesn’t have boarding facility and it was another problem. Remember I am a human rights lawyer, I’m not cut out to do all these kinds of things in Nigeria. As we are speaking there is a guy who just escaped from Boko Haram captivity, he even has a bad leg but so courageous, after escaping, he decided to go back to school, without any government or any support I have been aiding this boy with N5,000 monthly. If you see how he thanks me every time. Then look at the girls we got admission and visa for. Their duty was just to enter plane, sleep and wake up in America. Elsewhere, their colleagues are crossing the desert into Libya, this was what we did for these girls and this man would send FBI and security to the school, threatening the girls to park their things. Did you then make any alternative arrangement to get better hosts for the girls at least to stabilize them and make them concentrate like the first five? By God’s grace we got a lawyer who helped in housing one of them, another girl was in the home of a pastor, while another one got a space in the house of two professors. In international exchange programs like this, cultural immersion is the best thing. This is how you could pick the language and culture. So we got these two professors, we did background check on all of them after our experience with Doug Wead who managed to align with the Nigerian embassy because he had tried with his own people they interviewed the girls they found nothing. So he decided to go to the Nigerian embassy and told them, told them I know you don’t like this guy, he is a human rights lawyer this is how we can get him. He narrated all manner of stories against me, you know I posted a picture on my Facebook page telling my friends my neighbor was selling his house and all my friends should mobilize to come and buy it so that the girls can have a place to stay and all my friends if you are not going to buy I am going to delete you. It was a joke and can you imagine a joking post like that. He snapped it and showed the Nigerian embassy that I was raising money to buy house in USA and our stupid embassy were stupid enough to believe it. They knew it wasn’t true, the truth is that as a human right advocate, I have been advocating on the issue of Boko Haram for the past seven years which means since Yar’Adua’s administration and into Jonathan administration. I was the one that led the advocacy that the United States should list Boko Haram as a terrorist organization, I have testified in the US Congress, Canadian Parliament, in Geneva and other locations about this issue so I am known in Washington. This man went to the embassy and the elements there lined up with him and started attacking me. During Jonathan’s administration, they would send agents to check out and report to them but they were friendly so we would shake hands. I would speak and the ambassador would counter and we would speak and shake hands and go but since Buhari administration came in they started doing evil that was the change we said has happened since Buhari administration came in. What other persecution did you get on this issue? It happened that we went for the graduation of the girls and while we were there agents of the US government came on graduation there and picked two of the girls while we were rejoicing that these girls were going into their final year of their high school. I said what is all of these? They could not explain themselves so I took my camera and started recording it. The man came to hit my hand that why was I recording. I said that under American law it is constitutional to record operation of a law enforcement agent that is how they have a transparent system and I was even suspecting the man may be fake because if he was a genuine man he knows we are entitled to record. So the man went to the pastor’s house and collected all their luggage and took them to the home of Doug Wead. So if you are accusing me what does anti trafficking got to do in this case? So the team came and went to the pastor’s house and took the girls and unknown to them the pastor was the head of anti-traffic team in the whole Virginia. They took these girls from the house of the pastor; a two million dollar house in Washington DC, the area where former Vice President of America lives and they took these girls to New York. Before they went to New York, this is the most interesting part, before moving them to New Your, they first moved them to the house of Doug Wead. Should they not have been in the custody of the government? Why did they take them to his house to show that they were operating like his private police, they then moved them to Oregon and that was where the Nigerian government and Nigerian embassy and Doug Wead started. They told the girls they wanted to put them in the university and I was the one delaying their education and progress. Recall that when these girls got to America they could barely speak English and to get them admission was a problem. Now they were telling them I was the one delaying them or preventing them from going to the university. They promised them they were going to the university that year and they were going to visit their family in Nigeria that year. I have forgotten their promises but the bottom line is that all the promises have failed. They are not in university. The ‘419’ that the Nigeria government did was that they carried them and registered them in an adult education. Back home was the reaction to all these? In 2016 the Minister for Women Affairs addressed a press conference in Maiduguri that I took the girls and said I wanted to give them education and I didn’t put them in school. They are in my house and was using them to make money. Any intelligent person would know that you cannot say you put the girls in an American school without a student visa and when you travel and your student visa expires, you have to return home to renew it because of the 9/11 terrorist attack. The 9/11 terrorists were enrolled in the school as students and didn’t go to school then went to plan the attack. So since that time they have been strict so I said okay I am trying to do this, you people are not helping me and still fighting me so I sued them. So the case is in court in Abuja. The government instead of showing up in court they refused. The attendance of the girls were posted in the USA on CNN, on NBC so it takes someone who has no sense of right and wrong to have come out blatantly like that and lied. I believe we are all familiar with this government. Their best job is propaganda and they are not even good at it, they have continued to attack me in the media that I exploited the girls or I did this or that. Has the Federal Government given you any support on this project? The Federal Government has not given me a dime to support these girls. I would just briefly tell you what happened. After the Jonathan government lost the election the Nigerian ambassador to the USA called me and commended me for my patriotism and hard work for the Nigerian emancipation. He said ‘you are doing it at your own cost.’ He invited me to the embassy to come with the girls and sadly that ambassador died and as soon as he died, the acting ambassador who took over from him thought that was his change and the element at that embassy who were against me and who the former ambassador knew were the ones who now work with the new ambassador. They spread rumour, they actually told the US government to raid my house. Unknown to them before the girls left, there were proper documentation. Remember they couldn’t speak English so the visa interview had to be specially done with interpreter not only that, before the girls left, I came with a US Congress delegate from the US on a fact finding mission. We met the girls so the authenticity of the girls were not in doubt. So the US government said we can’t just raid his house like that so the Nigerian government continued to find ways against me. One of the things that helped us was that our activities with the girls were opened. When we were marking the anniversary of the Chibok abduction, we did it with the US government, the US Congress men. Can you believe that the Nigerian embassy are now saying we were exploiting the girls? As human rights organisations we mark events. Recently it was Nigeria Mourn, and the other day it was children’s day. We speak at these events, we speak against injustices. That’s what we do in the civil society, they said we are embarrassing them just because the Chibok issue was an embarrassment on the government. The person that has exploited the Chibok issues who has benefited the most is Buhari because that is what he used to run Jonathan out of government. Till today the BBOG activists said people in government of today used to come and identify with them but now they have abandoned them. Oby Ezekwesili was never arrested during Jonathan’s government, it is under Buhari that this has happened. I was personally at the park that day when they came to surround us. I have not been arrested since Abacha era until this administration surrounded us and took some people away. Now we are coming back to that era of dictatorial tendencies, lack of freedom of expression, repression of activists and so on and so forth. Putting the record straight now, what else do you want the Nigerian people to know about this whole issue? What I want to make clear is that recently Doug Wead took the American media to run me down and I asked what kind of journalism is this? The Wall Street Journal editor that called me said he was calling me about my case in Abuja. He was calling me he didn’t say anything about the case but was saying Nigerian government said this and that and I told him I have appeared before the court, before three or four panels during Buhari administration and they were surprised themselves that Doug claimed that he was giving them scholarship and he came around and changed. I showed them the emails. The little money I was able to raise trough an NGO he came to demand for ticket money for him that he and his wife should be reimbursed. He and his wife spent over $5,000 on ticket within the USA. He said that he and his wife were taking one of the girls somewhere, meanwhile we flew five of the girls with $5,000 to USA but he and his wife has to fly first class. That was what he was doing to us so I told him you want to show me you have power, this is your country and that is why when the public start to hear? I said I will now speak this is what you did. I will tell the world it was Americans who first abused Chibok girls and which made me to remove the girls from their home to a Nigerian chief’s house. That was the first incident. There were subsequent incidents. You all live in Lagos and in Lagos hosting one relative can cause you marital problem. Now consider America where you have to pay bills, multiply that by six girls which I once had to put in my house. My wife is African American, these were not her relatives I had to beg her please these people want to embarrass us let us accommodate them till we are able to find a place for them. My parents came to visit me I didn’t have time for them. I was driving them to lesson, to doctor, I became a driver, in America you can’t pay a driver. This is what I was doing giving them opportunities they would never have seen and for these people to now be saying these things against me. Wall Street Journal came and said we want to interview you I told them are you paying me for this interview? The girls didn’t pay them for interview. I asked them don’t you find it hypocritical that you journalists you are asking me why the girls did interview. Are you not the ones looking for interview? The court presided over by a hen is where the cockroach can never get justice. As a Nigerian how do you expect me to get justice before an American media? These people are out to get me they got one of the girls to testify nonsense against me. This was the girl wrote who me that the phone I gave her she does not like it can you imagine a child in Nigeria who can do that? You know what I did? sent her another phone, she wrote that she doesn’t like even the second one too. Can you see what I endured? Anytime I went to Nigeria, they would ask me to bring indomie and all that this is how I would load my box with nigerian things for them to be comfortable and feel home. This was never my ambition or plan. I didn’t plan to have this load on my head. I went to by a third phone for her. Other girls were pleading with me that that was how she behaves, my friends in the diaspora said I was the ones spoiling them. I told them I was the one who brought them to America I have to give them the best. The girl who was talking against me before the Wall Street Journal later wrote me a later apologizing to me that her mother said what I did for her nobody could have done that for her if not for God. So she should never maltreat me like that again. I have the copy of the letter that was in 2015. Then in 2018 white people are publishing that story of what she earlier said against me as if it was fresh. Then how do you intend to get justice when you said the American media has written against you? I am being very honest with you I know that I can never get justice. They want us to believe the stereotype that Nigerians are bad people and our President is the chief de-marketer of Nigeria plc. He would go abroad and say things. He was asked a simple question of why didn’t he sign African Free Trade Agreement. He was asked what are you doing to attract Foreign Direct Investment? He said Nigerian youths are sitting at home, they don’t want to do anything and waiting for everything free. He was de-marketing his own people so when this kind of situation arose instead of doing the right thing he joined hands with the people at the embassy to finish me. He doesn’t know it was his people and country he was finishing. So the Acting Ambassador wanted to be confirmed as an Ambassador, he said this is what he wants. He must destroy me and he was rewarded for it. He was conformed as an ambassador. He is from Lagos State and you know that Lagos has a lot of career diplomats and he has a lot of seniors. I understand they took him to bypass his seniors and conformed him. Lagos has a lot of career diplomats, how did a junior person like him get the post? It is because of the evil he did with the Chibok girls issues. Did you know that the day that we met at the Nigerian embassy where I went on invitation with the girls, they looked at one of the girls and said I’m I sure she can speak Hausa? How can you say that to somebody who has been traumatized? You took someone and put her in Bronx New York? When Buhari comes to America does he stay in Bronk? This is a place where people are being killed every day. Even I who has stayed in USA for about 20 years I don’t go to Bronx. They carried these innocent girls and put them in Bronx, it was there one of the girls converted to Islam. I want Nigerian government to come out and deny it. How can a girl who jumped from a truck to escape because Boko Haram was going to Islamise her now got on a plane to America to convert to Islam? How can she convert to Islam in America under Murtala Mohammmed Foundation? That is the new group that Buhari put them under. I am just telling you I have reached this point and I’m tired. They have taken the girls and the girls are failing under their watch, they are now looking for who to blame. This government’s core value is finger pointing, finding who to blame for their failure. President Buhari has no moral right to celebrate democracy in Nigeria. He is an enemy of democracy. He overthrew a democratic government and he has come back to government to exhibit dictatorial tendencies. The question is not asking whether Buhari deserves a second term, the question is whether Nigeria can survive the remaining one year under Buhari and if there is any legitimate means I think he should vacate it. When we talk about Democracy Day, we should know that the last time this man served was when he served under Abacha government who was the worst despot in Nigerian history and continued to boast instead of being ashamed of the role he played. Buhari has not contributed to democracy in Nigeria you cannot point to any contribution from him. Obasanjo challenged Abacha and was imprisoned by Abacha, Obasanjo played certain roles and you can see that he has been reformed, he is self-educated. Buhari has nothing in his pedigree and nothing in his DNA represents democracy. They put so much pressure on them to come and deny me, they said no they cannot deny me because of what I did for them except one of the parents that collected money.